Israeli soldiers shot and killed, Tuesday, two Palestinian teens near Beit 'Anoun village junction, east of the southern West Bank city of Hebron, while a third Palestinian was shot and injured, and many others suffered the effects of tear gas inhalation. Dr. Sharif at-Tarda, head of the Emergency Unit in the Al-Mezan Hospital in Hebron, said the soldiers shot Adnan Ayed Hamed al-Halayqa, 17, with a live round in the right side of his chest, and another Palestinian teen, who initially remained unidentified, as the soldiers held his body. Al-Halayqa, from Shiokh town near Hebron, died of his serious injury in the al-Mezan Medical Center in Hebron city, Palestinian medical sources said. 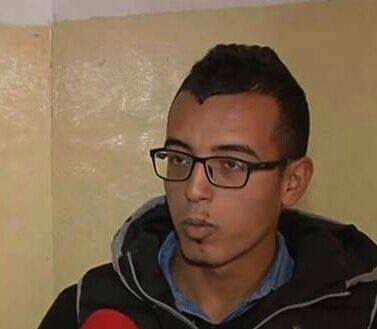 The second slain Palestinian was later identified as Mohammad Ahmad Kawazba, 23, from Sa’ir town, near Hebron. 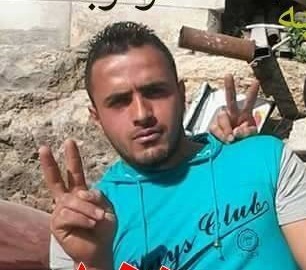 He is the eleventh Palestinian from Sa’ir, to be killed by the army since October, 2015. The soldiers prevented locals, and even medics, from reaching Kawazba, and left him to bleed to death. The Israeli army claimed the Palestinians "attempted to stab soldiers;" no injuries were reported. Palestinian medics managed to move a third Palestinian, who was also shot and injured by army fire, to a local hospital in Hebron. The army also fired several gas bombs and rubber-coated steel bullets at many residents who gathered in the area, causing many to suffer the effects of tear gas inhalation. In addition, the soldiers kidnapped a young Palestinian woman, while walking near the Ibrahimi mosque in the Hebron city. Also on Tuesday, the soldiers invaded Beit Jala city, in the West Bank district of Bethlehem, and clashed with local youths, before shooting to death a young man, identified as Ahmad Ibrahim Abu Srour, 21. 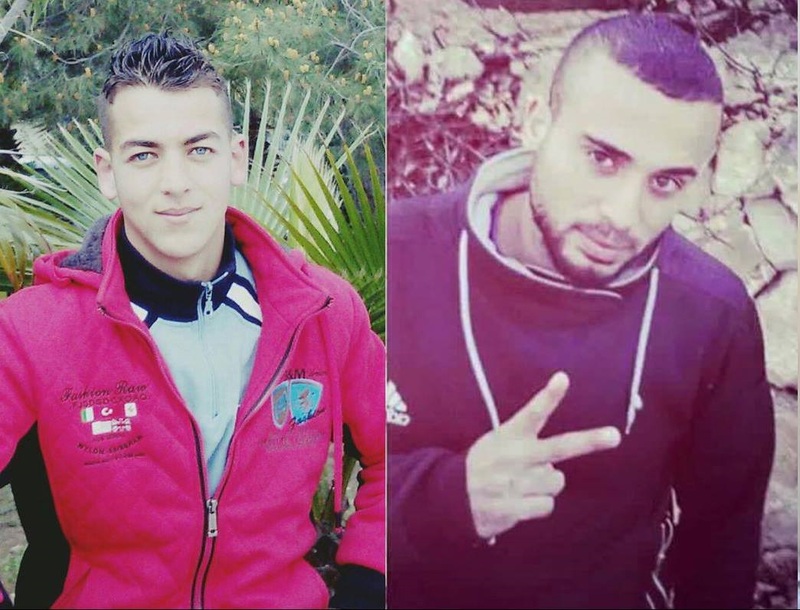 The Palestinian Prisoners Society (PPS) has reported that the soldiers kidnapped four Palestinians, identified as Emad Abu Ghannam, Mohammad Suleiman al-Hedra, Ibrahim Mohammad al-Hedra and Mohammad Daoud al-Hedra, from occupied Jerusalem. The PPS added that the soldiers also kidnapped Waseem Mofeed ‘Aabed, 25, Rakez Yousef Salah, 35, and Mojahed Mohammad Sa’adi, from Jenin, in addition to Samer Abdulraouf Bustami, 28, Soheib Makkawi al-Kharraz, 22, and Ahmad Ammar Qandeel, 17, in the northern West Bank district of Nablus. 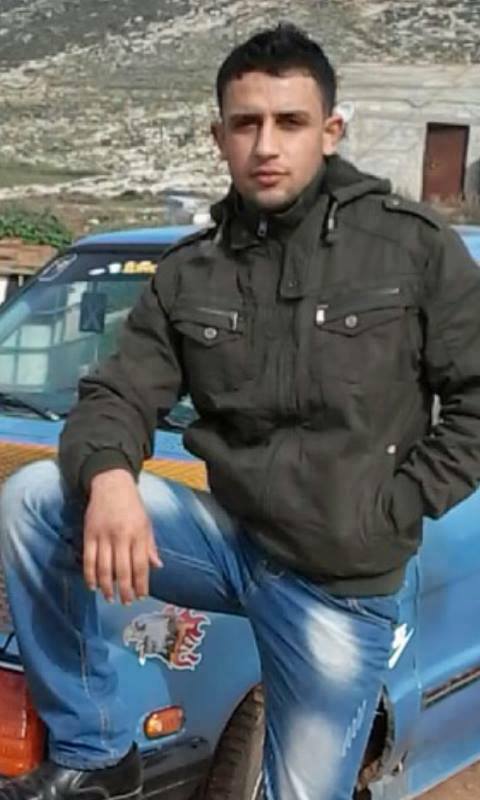 In Hebron, the soldiers kidnapped Jibreel Khaled Kawazba, 19, Jibreel Salam Sweiti, 29, from Beit Awwa near town, while another Palestinian, identified as Ayyoub ‘Aassi Damra, was kidnapped in Aqbat Bani Jabr in Jericho. Israeli soldiers invaded, Tuesday, Beit Jala city, in the West Bank district of Bethlehem, and clashed with local youths, in the Sahl area, before shooting to death a young man, and wounding several others, one seriously. Medical sources said the soldiers shot Srour Ahmad Ibrahim Abu Srour, 21, with a live round in his chest, inflicting a serious injury. The young man was moved to Beit Jala governmental hospital, where he died of his wounds despite all efforts to save his life. Also, one Palestinian, identified as Tareq Ziad Obeid, 20, was also shot with a live round in the chest, and is currently in a critical condition in Beit Jala hospital. Head of the Emergency Unit of the Red Crescent in Bethlehem Mohammad Awad said the soldiers also shot and injured another Palestinian with a live round in his leg, while scores of residents suffered severe effects of tear gas inhalation. Early Saturday morning, two Palestinians were shot dead at the al-Hamra (Beqaot) checkpoint in the northern part of the Jordan Valley, east of Nablus in the eastern part of the West Bank. The names of the two men killed Saturday are Ali Abu Mariam, 26 from al-Jadeeda village near Jenin, and Sa'id Abu al-Wafa, 38 from Zawiya. The Israeli military claimed that the two who were killed had been 'threatening' the heavily-armed military encampment with knives in their hands. 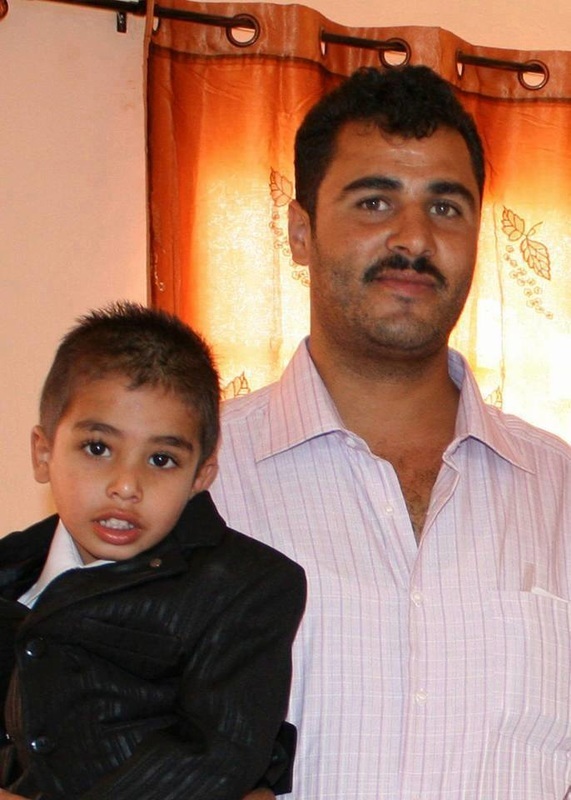 The two Palestinians were shot by numerous soldiers using multiple live rounds, and died at the scene. According to the military, the two men got out of their car at the checkpoint and began walking toward the soldiers. The military has been criticized internationally in recent months for its 'preemptive shootings' of Palestinians alleged to be holding knives. In addition several of the incidents in which the Israeli military has claimed that they were 'attacked' have proven to be false. Video footage taken by bystanders on their phones have shown Israeli soldiers planting knives next to Palestinians who had already been killed by the soldiers, on several occasions during the past three months. No information has been released, and no eyewitnesses have stepped forward, to share any information on the deaths of the two men at al-Hamra checkpoint Saturday. So the only information released so far has been the Israeli military's account of the incident. Israeli undercover soldiers killed Nashaat Milhem, who launched the Tel Aviv shooting attack a week ago, in a mosque in Wadi Ara in 1948 occupied Palestine on Friday evening. Two Israelis were killed and ten others were wounded, four of them in serious condition, in the shooting attack in Tel Aviv on the first day of 2016. Israeli security apparatuses asked the Palestinian Authority to help in finding the attacker after he succeeded in fleeing the scene of the attack unharmed. A statement for the Israeli police said that soldiers of the Yamam unit clashed with Milhem and killed him in the area near to Um el-Faham town. No other source confirmed the report, yet the Israeli TV Channel Two published photos for Milhem’s body. Israeli police on Friday shot dead Nashat Melhem, suspected of carrying out a deadly shooting in Tel Aviv last week, in a gun battle in his hometown of Arara in northern Israel. Israeli police spokesperson Luba Samri said in a statement that Israeli police had tracked Melhem down in a building in Arara "using all legally available resources and methods." She said that he left the building "shooting at forces, who responded by opening fire, resulting in his death at the scene." She added that no Israeli forces were injured during gunfire exchange. Israeli's Channel 2 reported that the building Melhem took refuge in was a mosque in Arara. Israel's Public Security Minister Gilad Erdan thanked Israel's security forces for their participation in the operation, as well as the Israeli public for showing "alertness, patience, and understanding of the complexity of police operations." Melhem is believed to have been responsible for a shooting in Tel Aviv on Jan. 1 that killed two Israelis and injured seven. 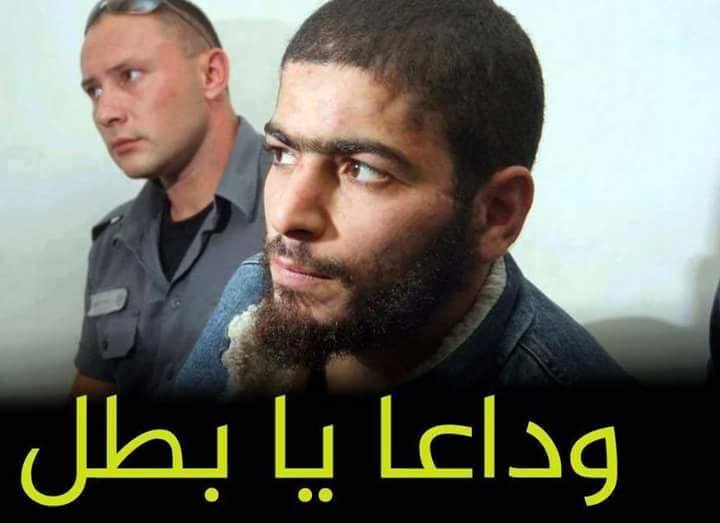 He fled the scene after the attack, allegedly killing a Palestinian with Israeli citizenship during his escape, and sparked a massive manhunt across Israel and the occupied Palestinian territory. Israeli security measures during the search impacted thousands of Palestinian citizens of Israel, with many in the northern Israeli district of Wadi Ara complaining of Israeli conduct at checkpoints. A member of the large Melhem family was quoted by Israeli news site Ynet as saying that they had been targeted by security forces. "This morning I walked through the police checkpoint and they started asking me questions as though I were hiding the gunman. My children were very scared. After they finished checking us, they started crying," they said. "We are going through difficult and complicated days. I hope the gunman turns himself in, because he's the only one who can save us from the treatment we are getting." Earlier on Friday, a large number of Israeli police were deployed across Tel Aviv, prompting Israeli media reports of an "immediate terror attack alert," although police later issued a statement denying the reports and saying the police deployment was intended only to improve "preparedness." Jafar Farah, the director of the Haifa-based Mossawa Advocacy Center For Arab Citizens In Israel, told Ma'an that his organization rejected "efforts to blame the Arab community" for the killings. He pointed out that one of the victims of the Jan. 1 shooting was also a Palestinian with Israeli citizenship. "The institutions should be there to protect both Arabs and Jews," he said. "The government wants to incite Jews against us. (Israeli Prime Minister Benjamin) Netanyahu's policy to manage the (Israeli-Palestinian) conflict is to show the Jewish and international communities that the issue is not the occupation, but a problem between Jews and Arabs." Farah said there was a long history of frustration among Palestinian citizens of Israel due to unchecked violence by Israeli security forces. He added that Mossawa acted as a legal representative for the Melhem family when Nashat Melhem's cousin was killed by police in 2006. "We wanted to ensure that the police officer who killed him was held accountable," he said. "Unfortunately, police intervention in the case led to the failure of the case in court." Farah told Ma'an that Mossawa had received a number of calls since the Jan. 1 attacks regarding aggressive behavior from Israeli security forces against Palestinians with Israeli citizenship. Israeli forces shot dead four Palestinians from the town of Sair on Thursday night after they allegedly carried out two separate stabbing attempts in the southern West Bank, Israeli and Palestinian sources said. Another member of the Kawazba family -- 18-year-old Ahmad Younis Kawazba -- was shot dead there on Tuesday after he reportedly stabbed and lightly wounded an Israeli soldier at the junction. Israeli occupation forces (IOF) executed three Palestinian youths near the Gush Etzion settlement bloc on Thursday night. 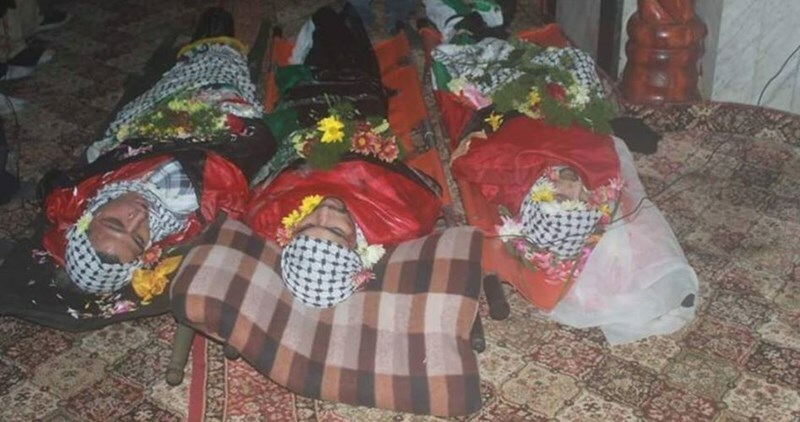 The Hebrew website 0404 claimed that the three Palestinian young men attacked soldiers manning a roadblock and that the soldiers responded by firing a hail of bullets at them killing them instantly. The Palestinian health ministry, for its part, said that three Palestinians were killed at the Gush Etzion junction, south of Bethlehem. Israeli forces shot dead three Palestinians on Thursday night after an alleged stabbing attempt at the Gush Etzion Junction in the southern occupied West Bank, Israeli and Palestinian sources said. An Israeli army spokesperson alleged that all three Palestinians were "armed with knives" and had attempted to "attack Israeli soldiers guarding the Gush Etzion Junction." Meanwhile, a spokesperson for the Palestinian Red Crescent said that their ambulance crews "were not allowed to get close to the scene." The Gush Etzion Junction has seen a number of deadly encounters since a wave of unrest swept the occupied Palestinian territory in October last year, with Thursday's deaths coming just two days after another Palestinian was shot dead at the site. 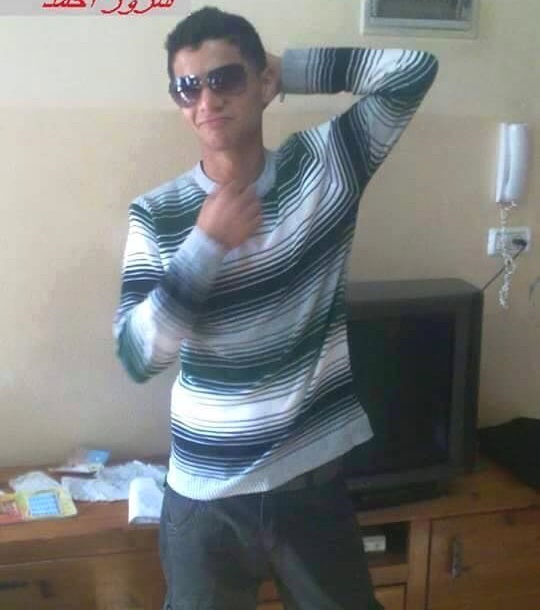 Ahmad Younis Kawazba, an 18-year-old from the nearby town of Sair, was shot dead after he reportedly stabbed and lightly wounded an Israeli soldier guarding the junction, which is the main entrance point to the illegal Gush Etzion settlement bloc. Since October, nearly 145 Palestinians have been shot dead by Israelis. While Israel alleges many of those were attempting to attack Israelis when they were shot, Palestinians and rights groups have disputed Israel's version of events in a number of cases. A Palestinian was shot dead after reportedly stabbing an Israeli soldier south of Bethlehem in the occupied West Bank, Israel’s army said. An Israeli army spokeswoman told Ma’an that an assailant stabbed a soldier stationed at the Gush Etzion junction, lightly wounding him. “Israeli forces responded to the attack and shot the assailant, resulting in his death,” the spokeswoman said, adding that the soldier had been evacuated for medical treatment. The body of the Palestinian, who has not yet been identified, was reportedly delivered to the Palestinian liaison office in Bethlehem. The Gush Etzion junction -- entrance point to the illegal Gush Etzion settlement bloc -- has been site to several attacks since a wave of unrest swept the occupied Palestinian territory in October. Over ten reported attacks have taken place at the junction since, with at least six Palestinians shot dead while carrying out suspected attacks that have left three Israelis killed. They are among over 140 Palestinians to be killed since Oct. 1, the majority shot while carrying out attacks that have left 21 Israelis dead. A number of cases remain disputed, with investigations into several Palestinian deaths pointing to unnecessary use of lethal force against Palestinians who no longer posed a threat at the time of their death. An Israeli soldier was stabbed and wounded by a Palestinian man near Gush Etzion junction in southern Bethlehem on Tuesday morning while the attacker was killed on the spot. Hebrew media reported that the settler was treated at the scene of the incident, describing his wounds as minor, while the Palestinian was gunned down. Israeli occupation forces stopped traffic heading to Bethlehem northwards and al-Khalil southwards following the incident. 179 Palestinians were shot and killed by Israeli forces and settlers in 2015, the Palestinian Heath Ministry said in a statement on Friday. The Health Ministry said that 179 Palestinians were killed by Israeli forces and settlers in Occupied Jerusalem, the West Bank, the Gaza Strip, and within the Green Line. Since the start of the Jerusalem Intifada in early October 2015, Israeli forces have killed 144 Palestinians including 27 minors and seven women.